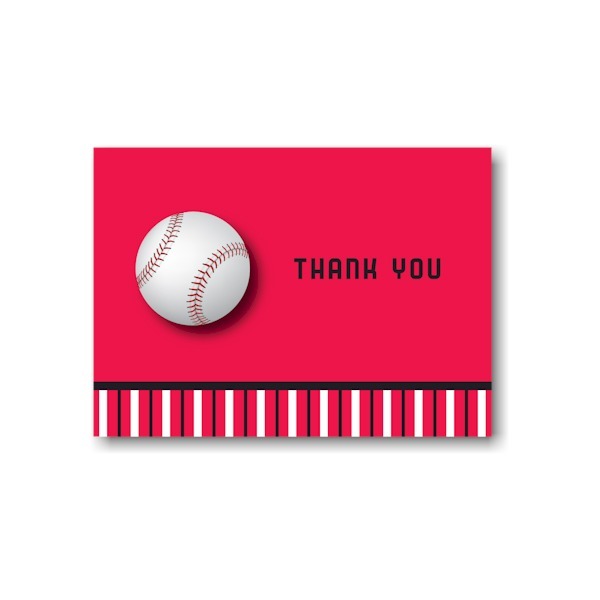 "Accent Lettering Style" is a required field. 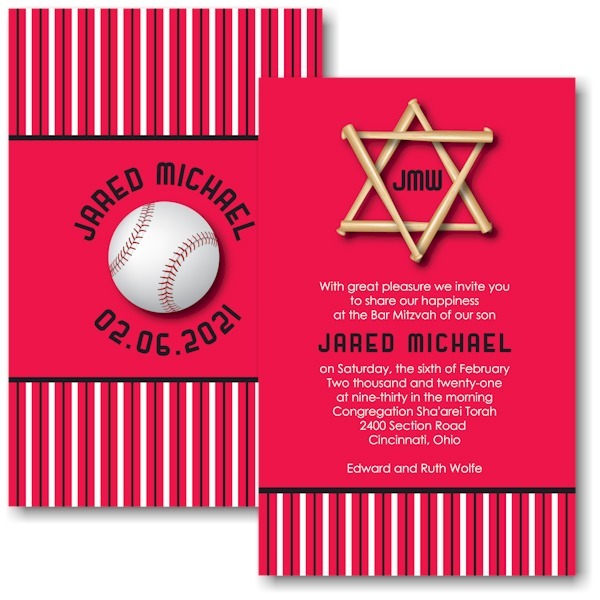 This baseball inspired Bar Mitzvah invitation is digitally printed on both sides of 130# card stock and begins with a Cincinnati Red background. 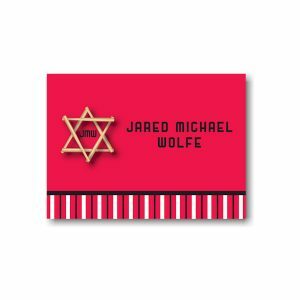 A Jewish Star of David made of interlocking baseball bats is centered at the top and your wording details follow below. 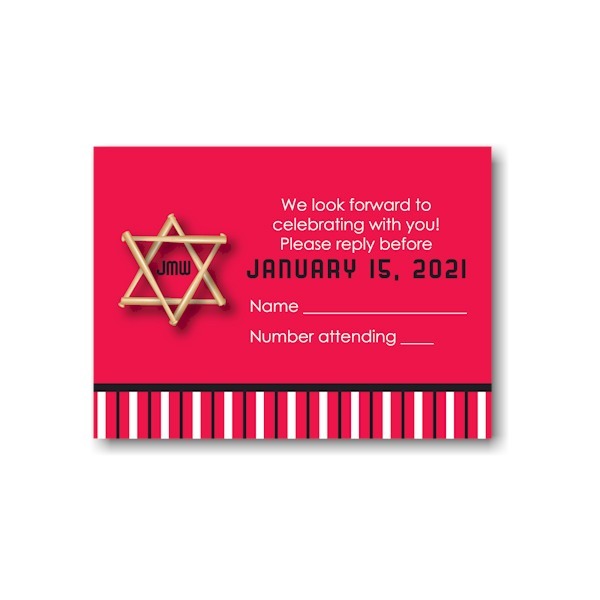 The White and Black striped pattern at the bottom continues on the reverse side and the name of the Bar Mitzvah and date are curved around a baseball motif in the center. 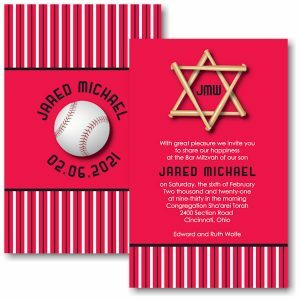 This baseball inspired Bar Mitzvah invitation is digitally printed on both sides of 130# card stock and begins with a Cincinnati Red background. 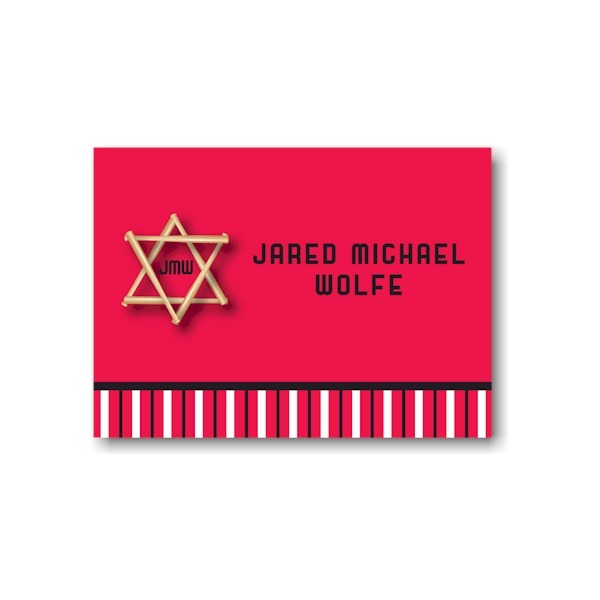 A Jewish Star of David made of interlocking baseball bats is centered at the top and your wording details follow below. 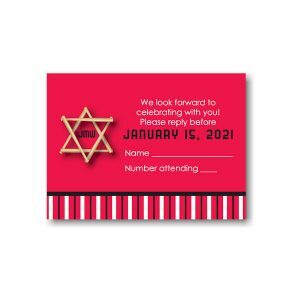 The White and Black striped pattern at the bottom continues on the reverse side and the name of the Bar Mitzvah and date are curved around a baseball motif in the center. Measures 5-1/2″ wide by 8-1/2″ high. 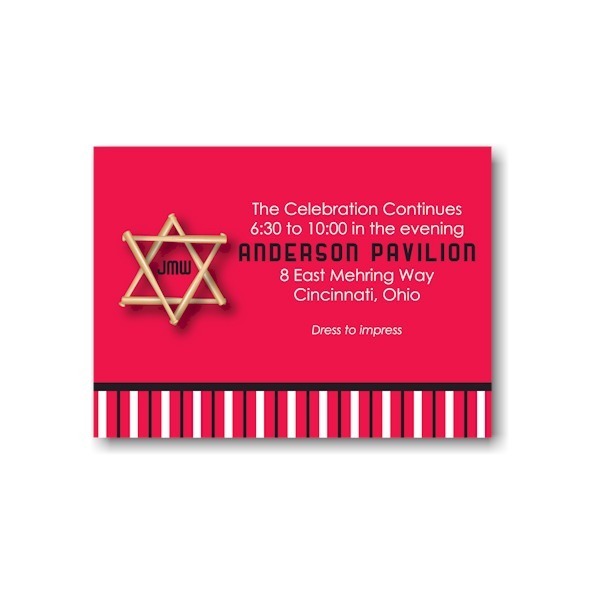 Imprint is shown with white/black inks and combination lettering styles Century Gothic Regular and Stadium Regular. 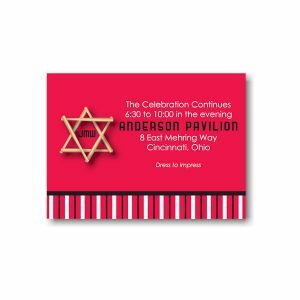 The Reception and Response enclosures will print on matching single card stock and the Informal notes and Thank You notes will print on white folder stock. 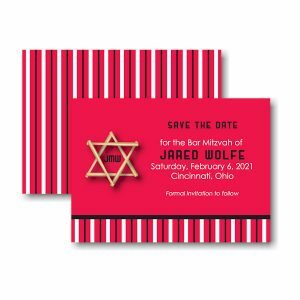 This Bar Mitzvah invitation is accompanied by single bright white envelopes.